While coding bootcamps are designed to be cost-effective alternatives to a conventional education in Computer Programming, prospective students still need to carefully manage their finances. As many leave their full-time jobs to attend, money is often tight for the average coding bootcamp student, and given the full-time requirements of most programs, working part-time is simply not an option. Josh Breiger from Coding Dojo suggests that you create a budget for your coding bootcamp experience, and then follow it carefully. But since every bootcamp experience is unique, how do you know how much to budget for all the different elements of your experience? Lucky for you, Josh and Coding Dojo have already done the work for you – thanks to the insights of their own alumni. 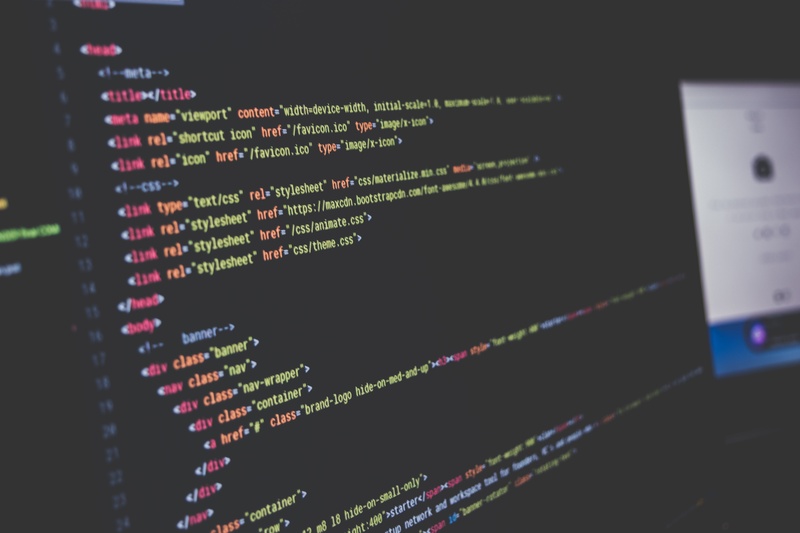 Read on for the top 8 tips to financially prepare for a coding bootcamp. Tip #1: Budget for food – your eating habits will change! The “average” food expenditures for a 25-year-old for 3 months is $1500-4000. Yes, that’s a big range. But even if you’ve done the work to figure out how much you personally spend on food in an average month, you can pretty much throw that number out the window. Why? Because life at the bootcamp will be anything but average. Coding bootcamp is like college finals week, but over several months. It will beat you up mentally and physically. And just like finals week, you can expect unpredictable mealtimes and an increase in junk food, which you hate to love. The days of microwavable food, cup-of-noodles, and energy drinks are back! But hold on: Maybe your bootcamp offers free food and snacks 24/7? Or maybe your doting aunt lives near campus – you know, the one who always brings the most food on Thanksgiving? Keep these factors in mind, but also accept that your “typical” eating habits will change when you are coding for 50-70 hours per week. Time is money, and if you want to get the most out of your coding bootcamp, you should strive to spend as much time as possible on campus. But as most camps are located in major cities with flourishing tech-job markets, you should expect to pay for city rental rates. For example, downtown San Francisco is home to several code boot camps, and rent can be upwards of $1500 for the area’s residents. This might sway you to find cheaper housing outside the city, but keep in mind that every hour commuting is an hour that could be spent in the bootcamp. Considering the cost of tuition, every moment at the bootcamp is valuable, and if you truly want to get your money’s worth, the benefit of an extra hour or two per day with your instructors and classmates will outweigh your savings on rent. Whether you rent a penthouse with a helipad or a modest studio apartment, you’ll be spending almost all of your time on campus during the bootcamp, learning to code. You will mostly likely only use your housing to sleep. So forget about renting out that luxury apartment, because you won’t be there enough to enjoy it. Common is a co-living company, which offers a network of fully-furnished, community-oriented apartments in major US cities. Through Course Report's partnership, you'll receive $250 off your first month! As an enrolled student, you should take advantage of all the services offered by your coding bootcamp. If they offer free coffee, guzzle it. If they offer free lunch, always go for seconds. If they offer free yoga, unlock those chakras! Use those bootcamp perks while you got ‘em, because they’ll be gone once you graduate. In addition to establishing expectations for your expenses during the bootcamp, you also need to anticipate your situation afterwards. Keep in mind that real life returns after the bootcamp and you should plan and save accordingly. So don’t wait until the last minute to realize that you need to find a job, because before you know it, the bootcamp will be over and you’ll be paying rent without a monthly cash flow. Look for loans: To qualify for a loan, banks will typically require applicants to have a steady monthly income, and since bootcamp is a full-time endeavor, this makes your chances of qualifying harder. Fortunately, some coding bootcamps offer financing options through programs like Upstart and Earnest, which provide special loan agreements to coding bootcamp students, with repayment schedules ranging from 6 months to 2 years. And unlike at banks, a monthly income isn’t the sole factor in your qualification to receive a loan. Check out Upstart and Earnest for more info. Take a little extra time and save money: There’s nothing wrong with putting off coding bootcamp for a few more months so you can save money for tuition. Many of our students at Coding Dojo have done the same. In fact, the time spent saving money isn’t wasted at all, because you’ll have more time to prepare for the bootcamp. So don’t stress, and take your time. Coding bootcamps aren’t going anywhere. Look for scholarships: Scholarship opportunities given by coding bootcamps will vary in quantity and inclusiveness. While some only offer one or two scholarships, there are easily others that have a wider range that cater to more types of students. At Coding Dojo, for example, we offer coding bootcamp scholarships for US military, aspiring female developers, displaced workers, and current/recent college grads. So remember to do some research – you’d be surprised what scholarships you might qualify for. Don’t count on financial aid: Coding bootcamps are still very young compared to 4-year institutions, which have long-standing accreditations, large administrative infrastructures, and legacies recognized by the government. Therefore, financial aid for coding bootcamps doesn’t exist and it’s unclear when it will. In the meantime, there are other financing options (like scholarships), and lucky for you, a coding bootcamp is cheaper and shorter than a 4-year institution. Get creative. Raise money! Another option is to raise money. If you currently work for a large company, talk with your employer about the possibility of a tuition subsidy. If that’s not an option, ask family and friends. Or maybe start a crowdfunding profile. Or beg Bill Gates. Whichever you choose, remember that there are many ways to fundraise; all it requires is some creativity and effort. Tuition for most 9-12 week coding bootcamps is between $10,000-$20,000. But paying more doesn’t necessarily equal getting more. To optimize your return on investment, you should prioritize one critical expectation: your ultimate goal for attending the coding bootcamp. Because contrary to common knowledge, most bootcamps teach their own niche curriculums. For example, Coding Dojo is the only bootcamp in the industry that teaches 3 full stacks in one 12-week course, and in addition to specializing in web development, we also promote startup incubation at our campuses. If a student comes into the bootcamp with the end-goal to launch their startup, by all means, we help them launch their prototypes. But perhaps you’re looking for something else, and that’s perfectly fine. Whatever preferences you have, just remember to do your research and know what you want from a bootcamp before committing. Your personal aspirations will ultimately decide your return on investment. Don’t immediately assume that paying more guarantees more satisfaction from the program, and don’t let a boot camp’s tuition deceive you otherwise. 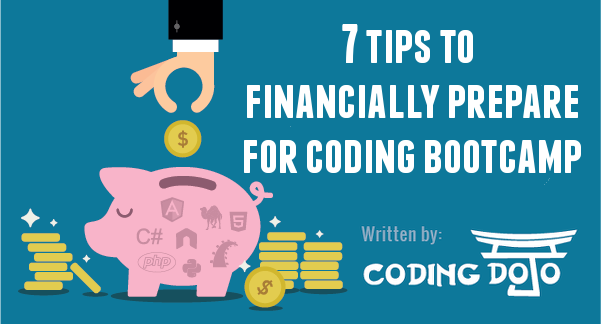 Hopefully, these tips have enabled you to set a more accurate budget for a coding bootcamp. However, here’s our final and most important tip: be disciplined with your spending. No matter how much you prepare, your fiscal discipline leading up to and during bootcamp will ultimately decide your financial health. Sure, our financial tips bring legitimacy to your budget – and this will help you sleep better at night – but self-restraint is the final component that will either save or break your piggy bank. Josh Breiger is a contributor for Coding Dojo. Learn more about Coding Dojo on Course Report or get more useful tips from Coding Dojo about coding bootcamps on their blog.